Cloves provide antioxidants and anti-inflammatory benefits, which means that they may help to protect against cancer, heart disease, arthritis, and a variety of other conditions when consumed as part of a healthy diet. They are also a source of omega-3 fatty acids, vitamin C, calcium, and magnesium, all of which are critical to good health. 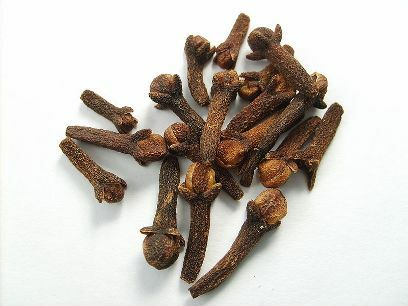 Cloves have been used as a home remedy for stomach upsets, coughs, and a variety of other conditions, though more evidence is required to confirm (or refute) these benefits. Cloves are delicious in fruit compote, apple cider, pumpkin pies, spicy cookies and muffins, and maple or cinnamon cakes – almost any recipe that also calls for cinnamon. They’re also a nice addition to legume-based dishes such as bean and split pea soups, chili, and baked beans. Whole cloves are often inserted into baked hams and ground cloves are used to add flavour to curries. When cooking or baking with cloves, remember that they have an intense flavour, so a small amount goes a long way.